Lady and the Blog → Living → Twitter Party Alert: 8/18 At 8PM EST With @Staples #SchoolHappens 1900 In Prizing!!! Twitter Party Alert: 8/18 At 8PM EST With @Staples #SchoolHappens 1900 In Prizing!!! Join us for a ultra fun Back-to-School Twitter Party with Staples on Thursday night! Whether your kids have just hit the hallways or are about to, celebrate the new school season with us and Staples! 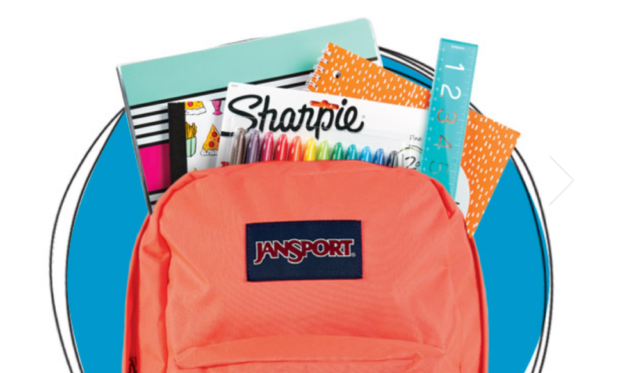 Staples is celebrating 30 years of back-to-school experience making back-to-school shopping happen easy with top brands and the latest trends at the lowest prices. It can’t get much better than that for parents! The new 2016 back-to-school trends are incredible and offered right at Staples! They range from runway-inspired metallic, tropical prints, bohemian vibe patterns and classic essentials that students can mix and match to create a personalized look. Staples is in stock all-season-long at the lowest prices backed by the Staples 110% Price Match Guarantee. We would LOVE to have you join us Thursday night as we have some fun with Staples and talk all about heading back to school! Prizing: We have over $1900 in PRIZES!!!!!! Our grand prize is a $500 Staples Gift Card!! Believe us, you don’t want to miss out! In order to qualify for prizing, you MUST use the hashtag (#SchoolHappens) in your tweets.